Description: On this BEACH CORNER show, you will find out more about the "law of attraction" as Dianna's guest is first time author, Dennis Fraser. Dennis and his grandson, James Poulin co-wrote "Frustrated, Frazzled and Ready to Throw Up" based on the "law of attraction". Dennis discusses some of the rules and explains the game associated with the 'law of attraction'. Photo by Joe Bickerstaff with thanks. BEACH CORNER with Dianna Chycki is heard only on Beach BOOSTER Radio, every Tuesday & Thursday at 5:00 & 7:00 pm. 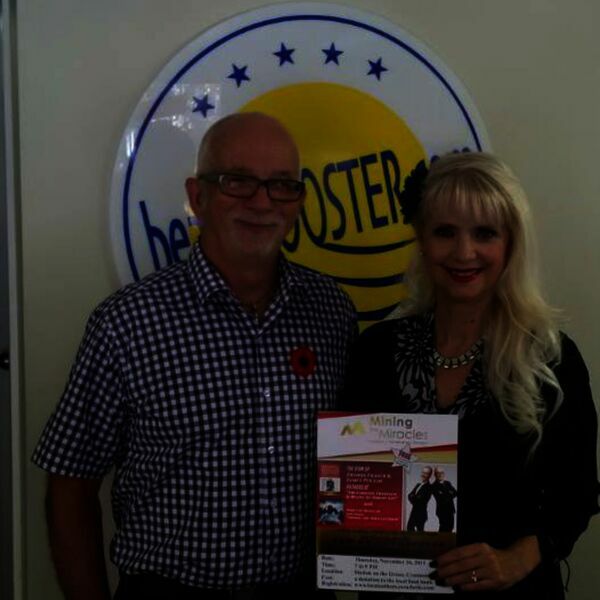 On this BEACH CORNER show, you will find out more about the "law of attraction" as Dianna's guest is first time author, Dennis Fraser. Dennis and his grandson, James Poulin co-wrote "Frustrated, Frazzled and Ready to Throw Up" based on the "law of attraction". Dennis discusses some of the rules and explains the game associated with the 'law of attraction'. Photo by Joe Bickerstaff with thanks. BEACH CORNER with Dianna Chycki is heard only on Beach BOOSTER Radio, every Tuesday & Thursday at 5:00 & 7:00 pm.